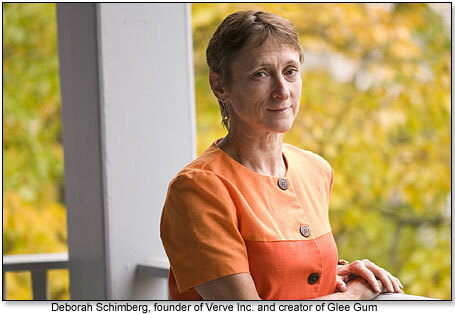 TDmonthly - Q&A With Deborah Schimberg of Verve, Inc.
Q&A With Deborah Schimberg of Verve, Inc.
Deborah Schimberg, president of Verve, Inc., invented Glee Gum after 10 long years of trial and error in her own kitchen. Committed to the environment and to exploring the possibility of sustainably harvesting chicle in the Guatemalan rain forest, Schimberg decided to create a fun and tasty product that would teach kids about natural resources, while having fun. You can read her story below. Q. What career path did you originally envision for yourself? Did you ever anticipate working with children’s products? A. I was trained as an educator; my past work included co-founding a charter school in R.I. and serving as a school principal in Costa Rica. I loved working with children. I didn't know my path would lead me to sell children's products, but I did notice a need for more educational, interactive toys that might help to connect kids to the world around them. Q. How did you come up with the idea for your first product? A. I had a fellowship from the Kellogg National Leadership Development Program in 1983, which allowed me to explore models of sustainable development. In the rain forest of Guatemala, I learned about the sustainable harvest of chicle. This tree sap was once the basis of the entire chewing gum industry, giving gum its signature texture-- before synthetic gum bases became the norm. I felt inspired to create a new product with chicle, to help the harvesters continue to earn a living and to help conserve the rainforest. Q. What steps did you need to take to go from the original spark of an idea to actual production? How long did it take? A. It took almost 10 years to design the Make Your Own Chewing Gum Kit, after much experimenting in my kitchen with my kids, and to found my company, Verve, Inc. Since then, we have introduced two more Make Your Own Candy Kits for kids (Chocolate and Gummies) and a full line of natural chewing gum called Glee Gum. Q. What charitable organizations has your company worked with in the past? A. We are happy to support a variety of organizations, including Trees for the Future, an agro-forestry resource center, the Cloud Forest School, a bilingual school in Costa Rica, and the Forest Foundation, an organization for environmental education and eco-business development. Our company is also a proud member of Green America. Q. Why did you choose to work with these particular charities? A. We're committed to environmental and social justice. Q. What experience do you have working with charities on a personal level? A. I founded the Southside Community Land Trust, a nonprofit urban agricultural organization in Providence, R.I., shortly after graduating from college. I'm still on the Board there, and it's so rewarding to see it thrive and become a national model for sustainable community gardening. Q. What do you consider to be your greatest accomplishment in the toy industry? Why? A. With our Make Your Own Candy Kits, we've created a "spoonful of sugar to make the medicine go down," as Mary Poppins might say. It's important that children understand where food comes from and how we're interconnected on a global level. I'm so happy to have created a line of products to highlight that connectivity in a fun-- not to mention tasty!-- way. When I hear from teachers who have used the Make Your Own Chewing Gum Kit to great effect in lessons on rain forest conservation, or the Gummies Kit when talking about oceanography, or the Chocolate Kit when talking about Latin American history, it's such a thrill. Q. How do you hope your products affect children’s lives? A. I hope that our products help children to think about where foods come from, how raw materials and natural resources can be used responsibly, and how communities around the world depend upon one another to help build a healthier future. I also hope that our products create sweet memories! Make Your Own Chewing Gum Kit by VERVE INC.
Other products from VERVE INC.
Make your own chewing gum with chicle, the sap of the Sapodilla tree that grows in the rainforests of Central America. Everything you need is included in this kit and it's easy! You can make your own gum on the stove or with a microwave. Great for class room activities, scout troops, birthday parties, home school, or after school groups. Adult supervision is recommended. Makes a great gift for kids! Glee Gum by VERVE INC.
Glee Gum is all natural chewing gum made with sustainably harvested rainforest chicle. It comes in EIGHT great flavors: cinnamon, peppermint, tangerine, bubblegum, spearmint, triple berry, sugar-free lemon-lime and sugar-free refresh-mint. 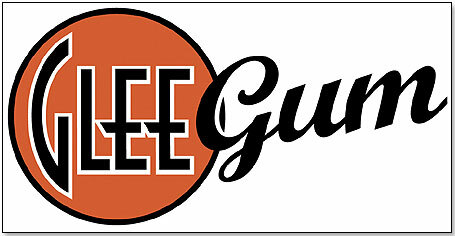 Glee Gum is the #1 healthy alternative to synthetic chewing gum and bubble gum. Mini Glee Variety Pack by VERVE INC.
Each Mini Glee Variety Pack contains a convenient assortment of 21 Mini Glee Gum packets in kid-friendly flavors: Tangerine, Triple Berry and Bubblegum. The enclosed four-piece Mini Glee Gum packets are all natural, gluten-free, and made with sustainably harvested rainforest chicle. The new mini size makes them a great “green” option for parties, pinatas, Halloween and the holidays. Launch date: August 15, 2008. •Watch a Heartwarming Charity Giveaway! •Q&A With Deborah Schimberg of Verve, Inc.